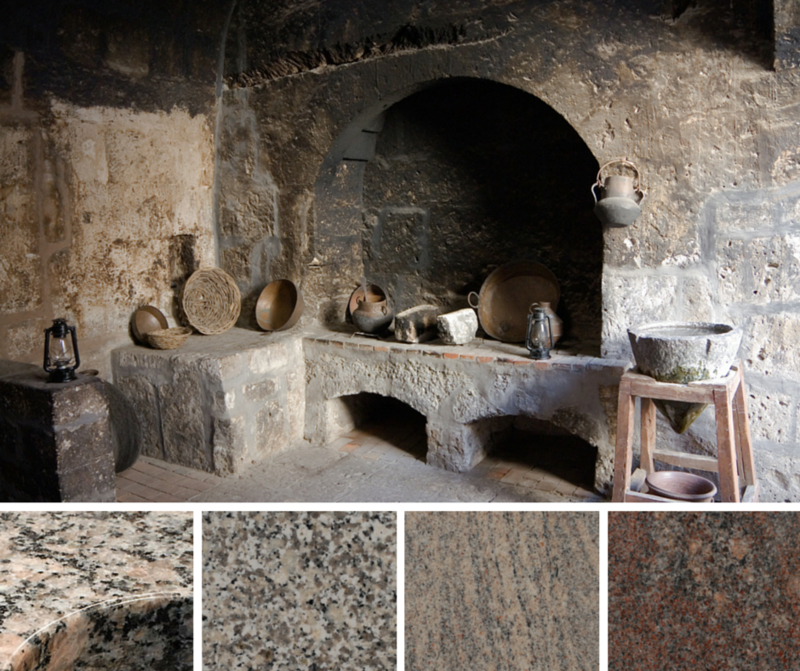 I love this Ancient Stone Kitchen. What a neat find! Back in the 80s and most of the 90s, the colour and pattern options for granite was bleak to say the least; extremely consistent patterns with varying degrees of brown, greyish and pinky tones were prevalent. Sure, there were dark greens and black granites widely used as well but like their grey, brown and pinkish counterparts, they were void of organic movement or variety of tone. Typical colours were Grigio Perla, Rosa Porrino, Baltic Brown, Paradiso, Uba Tuba and a family of the Juparana variety. 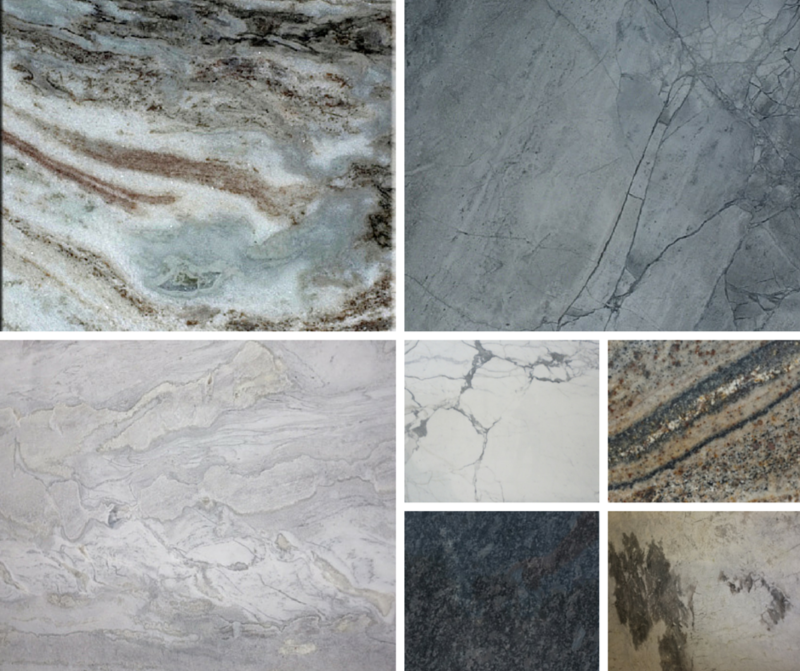 The selection of Natural Stone countertop options has EXPLODED in recent years.... and it is EXCITING! We're going to introduce you to what's been going on in the world of natural stone. Although NEW is an odd term to use when describing Natural Stones which have been forged over eons, there are a whack of new varieties of Natural Stones to choose from for Countertops and for other applications in and around the home. QUARTZITE is one of these exciting NEW options for Countertops. Not to be confused with Quartz countertops-- like Caesarstone or Hanstone-- which are engineered, Quartzite is a Natural Metamorphic Rock that was pure quartz sandstone. The many amazing varieties of Quartzite were converted from Sandstone into Quartzite through the Earth's massive pressurization and heating. And the end result is a stunning assortment of ultra-durable, very dense, gorgeous stones. Think of Quartzite like a step between Marble and Granite. Although often times, Quartzite is more dense than granite. Note: Quartzite is available with our 25year Stain-proof Warranty! Colours shown here are: Terra Bianca, Super White, Mont Blanc, White Princess, Amarone. I also threw in a Statuario Marble and Silver Pearl, which is a granite in our feature collection that I think is an awesome colour for today's design palette.